← Zuma & VHS Holiday Food Drive For CAFB Kicks-Off! Zuma’s View – If Staples / Office Depot Merger is Approved, Who Wins? Word on the street is “activist investor” Starboard LP who owns 6% of Staples and 10% of Office Depot is pushing for a merger of the two companies in hopes of creating a $35 billion monolith with 4,000 retail stores and incredible market influence. Soon a consumer’s choice of where to buy office supplies like view binders, report covers and hanging folders could go from three large “big box” superstore chains to one. This is on the heels of the 2013 merger of Office Depot and OfficeMax, creating a massive corporation of over $18 billion in revenue. Whether or not the Office Depot and OfficeMax merger should have cleared through the FTC is debatable. In 1997, when there were far more competitors in the business to business office supplies market, Staples tried to purchase Office Depot, and in what became a political battle, Staples was denied that opportunity. The office supplies market is struggling mightily with insane price competition, dwindling profits, and a decreasing demand for the first time in history. Because Office Depot and OfficeMax have posted terrible results for a long time and had modest chances of survival separately, it probably made sense for the FTC to approve the merger and hope the two combined companies could make a go of it. Questionable marketing spending like this are one reason Office Depot and OfficeMax are struggling. Too Much Clout: I was a senior executive selling to the Big Box stores at very large office products manufacturers, Acco Brands being most recent (NYSE: ACCO). The amount of clout the three superstores hold over manufacturers is unbelievable. With almost no other sizeable customers of any consequence to sell our wares, we had to do whatever it took to get the business at the three overly demanding chains. The fact was, if you did not get the business from at least one of the three, you were out of business. Knowing this fact, Superstores put all product categories out to bid on an annual or bi-annual basis where manufacturers must offer crazy deals to either keep, or gain the business. It is no surprise that there is not one office supplies manufacturer doing well. Once proud companies like Esselte, Mead Products and American Pad & Paper are gone, their brands merged into struggling concerns hanging by a thread. Even Avery, a once huge office supply company, sold their office products division to CCL Industries for almost nothing. They have all been raped by the Big 3. If that Big 3 dwindles to the BIG 1, it is death to many office supply manufacturers. At $35 billion in sales, Staples/Office Depot would do more volume in 3 days than any other independent office supply company will do in sales for a full year! Think about that market power. Lost US Jobs: The Office Depot/OfficeMax merger was applauded by some investors for one reason – cost cutting to improve the bottom line. They estimated the merger would eventually lead to $500-$600 million in reduced cost. We all know “cost reductions” mean fired workers. When two huge companies merge, all redundant employees get the boot creating “efficiencies” for the new combined companies. Sounds like thousands of hard working people who helped build these companies get shafted so Starboard, investment bankers and upper management can profit. And, lost jobs won’t only happen at the merged companies. I watched as manufacturing companies I worked for closed down US plants and moved them to Mexico to meet the price demands of the Big 3 superstores. I again watched as our Mexico plants were then shut down, and most products were outsourced to China, because relentless price pressure from the superstores meant either we cut cost to keep the business, or lose the business and close the doors. I am not proud to say that at the time, I was one of the people saying we needed to do everything possible to keep the business and find the lowest possible cost. After dealing with the unbridled market influence of the Big 3 for so long, I left corporate America with a purpose of starting a new company with an exact opposite approach to business than the office superstores – ZumaOffice.com. A “Business to Business” Monopoly: Wall Street says “the market has changed” since the 1997 failed attempt of Staples buying Office Depot because “companies like Wal-Mart, Target and Amazon are now selling office supplies”. Are you kidding me? There is no doubt those companies have made a dent in the retail sales of Staples, Depot and Max by taking away small office and home office shoppers. But the majority of office supplies are sold through large business to business contracts to huge companies. Is Amazon going to win the State of New York office supply contract? Will Wal-Mart ever become the supplier to Dell Computer? 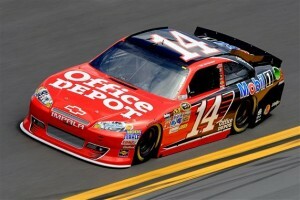 How about Target becoming the office products provider for General Motors? Wall Street is saying this nonsense because greedy investors want this deal to go through. The fact is the majority of office product and office furniture sales go through “contract stationers” or commercial dealers and, oh yeah, Staples, Office Depot and Office Max bought all the large ones. If you know anything about office supplies, you know these companies who were once thriving, large, publicly traded commercial office supply companies: Anyone remember Boise Cascade? How about Corporate Express? The BT Group, US Office Products? All of these substantial companies who were around when the Staples/Depot merger of 1997 was denied are now gone. Where to you ask? They were acquired by Staples, OfficeMax and Office Depot. If you are a large corporation or government entity, and the Staples/Office Depot merger is allowed to happen, you have exactly one choice for a supplier. 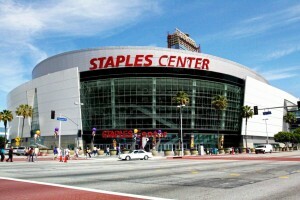 The amount Staples spends on naming rights for Staples Center is more than the sales of most all of their competitors. There’s more I could add, but suffice it to say that a Staples/Depot merger is bad for employees, bad for vendors, bad for customers, and bad for the communities where huge warehouses and offices will close, (remember, your tax dollars went to fund the openings of many of them). The result will be the exact opposite of the business model we follow at Zuma – Conscious Capitalism. This model says good business treats customers, employees, vendors, the community and the environment with fairness, honesty and openness. If something is bad for these vital partners, ultimately it is bad for business. If the merger does go through, it is a good thing for Zuma Office Supply on the surface. We have already gained new customers from shoppers who are dissatisfied with the Depot/Max merger. Their sales person was fired, the new customer service is poor, the fill rates are bad because of warehouse closures, etc. That will only continue at a higher rate if Staples buys Office Depot – people will search for a new supplier, and hopefully many will hear about ZumaOffice.com. However, I’ve been in business long enough to know that surface or short term gains can be bad in the long run. If the manufacturers we count on for quality products go out of business because Staples’ demands don’t allow them make a reasonable profit, we lose. When employees are fired, jobs are lost, and plants are moved overseas, we all lose. When one company becomes so powerful that their customers have no choice, we all lose. The answer to the question in the title – “If Staples / Depot Merger is Approved, Who Wins?” – is clear. Activist investor Starboard LP, Investment Bankers and Senior Executives with stock options already making ridiculous salaries compared to average workers. The losers are thousands of displaced employees, many facility shut downs hurting local communities, and US manufacturers who will be sucked dry. Regardless of if the Staples/Depot merger happens, I enthusiastically encourage everyone to buy from independent online office supplies stores, or your local office products dealer. Our prices are great, we do business the right way, and in Zuma’s case we give away over half our profits to great charities to help our communities. Bigger these days is usually not better. This entry was posted in Staples Office Depot Merger and tagged office products, Office Supplies Online, office supplies online store, Staples Merger, Staples Office Depot Merger, Zuma Office Supply. Bookmark the permalink.